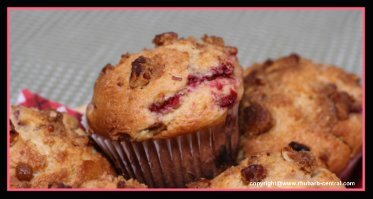 This easy to make, healthy Rhubarb Raspberry Muffin Recipe makes amazing rhubarb muffins! 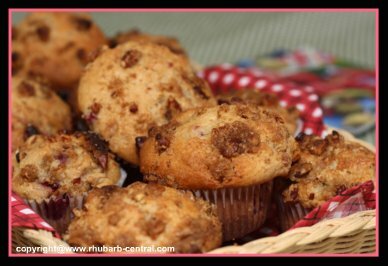 You can use fresh or frozen rhubarb to make these delicious muffins! 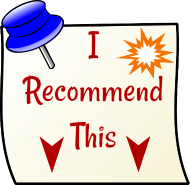 If you plan to make this muffin recipe with frozen rhubarb, thaw it first, in a colander over a bowl, and discard the extra liquid. I've been making these yummy muffins for many years, and it's become a real family favourite. 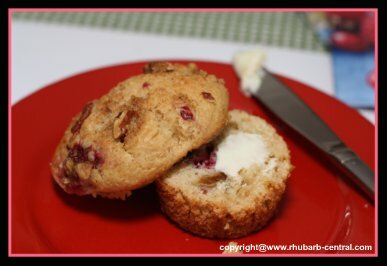 Everyone, even those who "thought" they did not like rhubarb, LOVED these muffins! Why not surprise someone with these rhubarb muffins today? Or, make a batch to enjoy yourself ... they freeze well too. In a small bowl, combine the pecans, brown sugar, and cinnamon and, using a fork or a pastry blender, cut in the cold butter until the mixture resembles coarse crumbs. 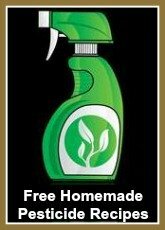 In a large bowl combine the flour, brown sugar, baking powder, baking soda, cinnamon and salt. In another, smaller bowl, beat the egg with a fork, and add in the buttermilk, oil and vanilla. Stir the wet mixture above into the dry (flour) mixture, just until moistened. 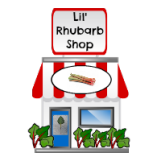 Gently fold in the rhubarb and the raspberries, (trying not to break apart the raspberries),just to combine. Fill greased or paper-lined muffin cups about two-thirds full. Sprinkle the topping mixture over the muffins batter in each muffin cup. Bake at 400° F for 20 - 25 minutes, or until a toothpick inserted in the center comes out clean. Makes about 12 - 18 muffins (I made my muffins quite large so I only made 12 muffins). GO to Pastry Stands - I ♥ these Beautiful Cake and Pastry Stands!